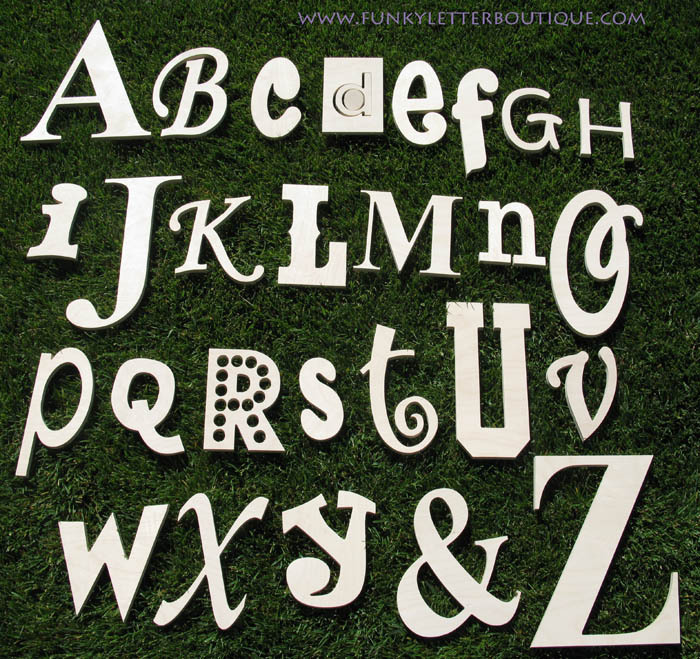 Letters are made in different sizes (Small-10"-6" Large 16"-7"), fonts etc to add to the whimsy of them. Please allow 1-3 weeks for the shipment of this custom cut set. Hint: these would make a really neat teacher appreciation gift, have each child paint or decorate a letter and write their name and date on the back.